Zideant Project is our first project for the first semester at FPT Arena Multimedia. 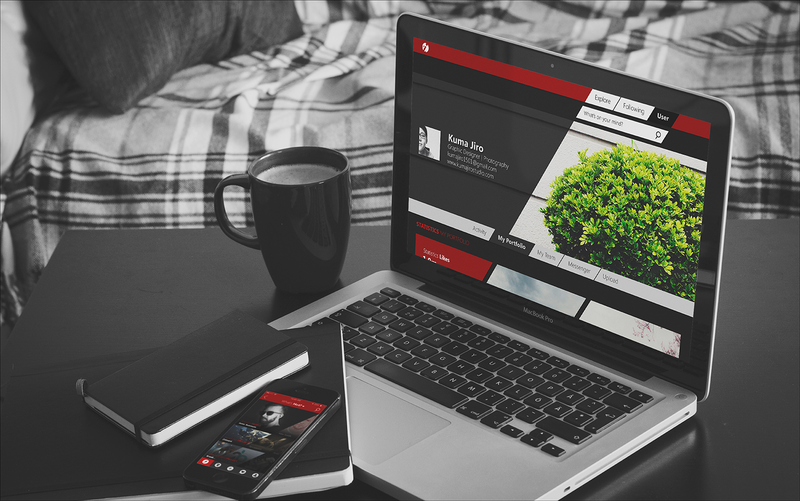 The topic the team was tasked to was developing a totally new brand (design Brand identity, Printing matters, Web UI and App UI) of web portal or social network. 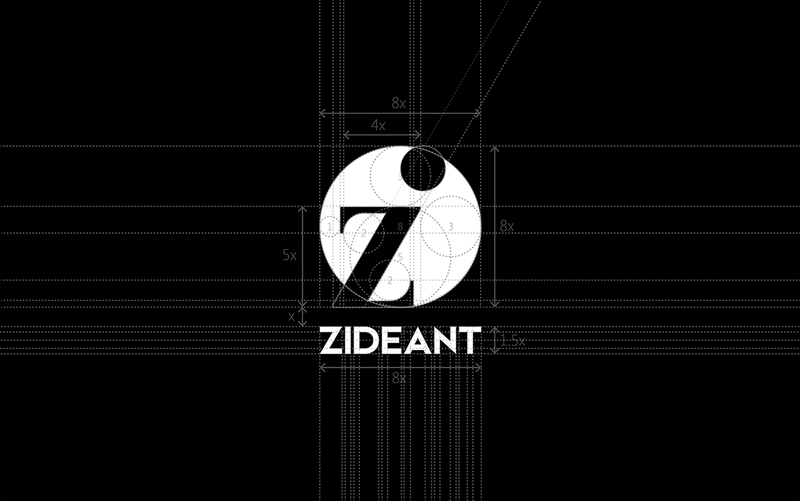 And we chose to develop brand “Zideant” – a social network for designers. Special thanks to Mr. Lio for helping us on this project! 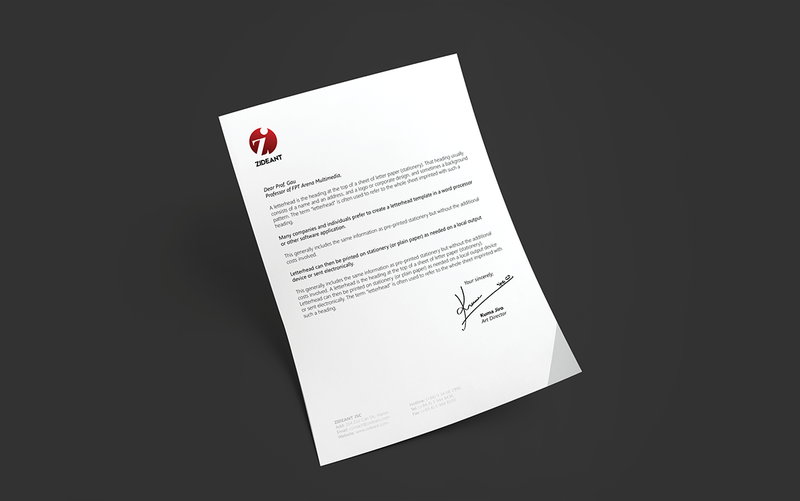 Simply, the brand name “Zideant” is comprised of letter “Z” – which is our team’s name and the word “Idea” with the meaning of creative, dynamical world that is always filled with fresh and unique ideas. 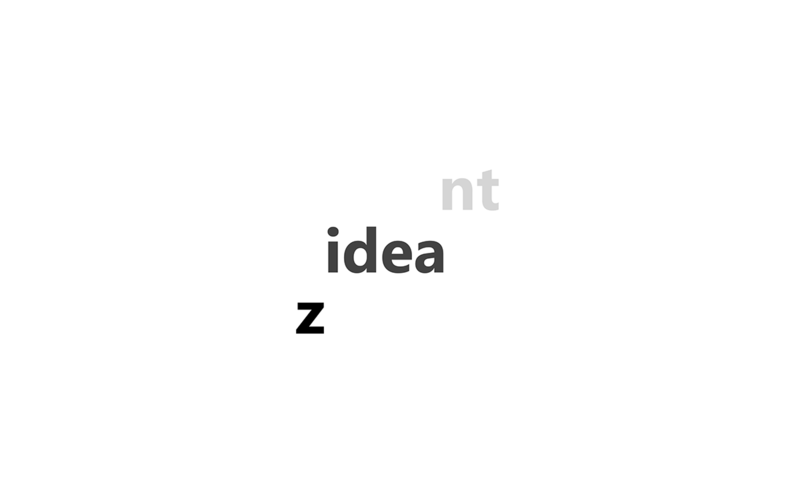 First, the logo was designed by the ligature method, it is the combination of two letters Z (our team’s name) and i (short of ‘idea”). 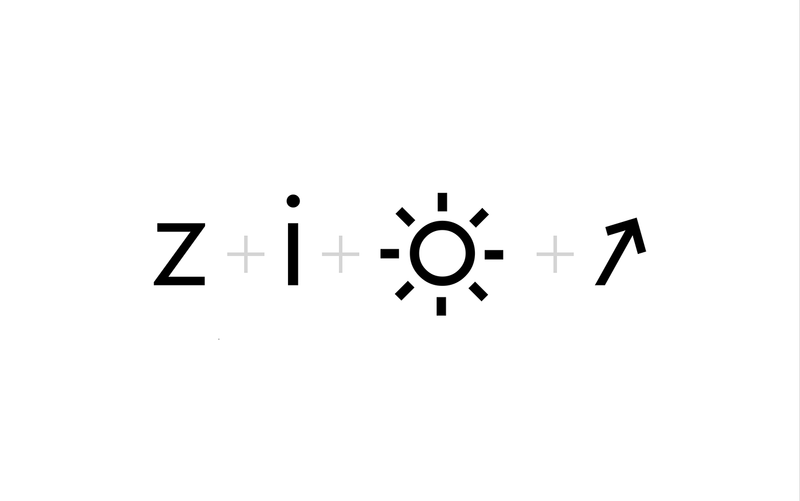 “Zi” is our own new ligature. Second, it is the circle that is symbolized for the sun. 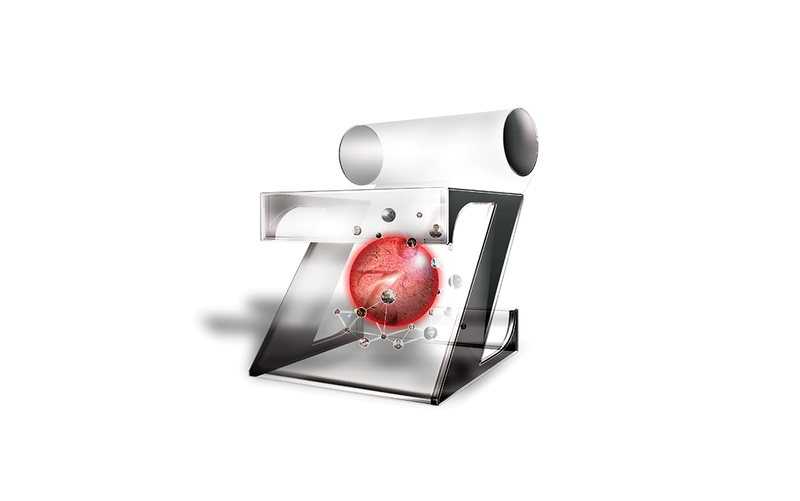 Zideant is the ideal sun of all designers, it will help your portfolio shine all over the world. Next, the movement is directed toward upward direction and bias a 60 degree angle. 60 degree angle is one of the most 3 angles that are stable and represents for the desire of prosper and stable commerce (following the conceptions of Asians). And the last factor is the combination of Serif and Sans-serif typeface, with a clear and simple message that our brand have the necessary seriousness of a huge brand. We are serious in making your porfolios shining worldwide but not old-fashioned. We are a young, modern and dynamicle environment that is always keep pace with 21st century trends. A visual perception error I want to talk about is the circle of the “i” letter. When the circle is aligned to the diagonal of the “Z”, it makes the viewers feel like the circle is falling down so I moved it to the left to overcome this error. Additionally, I applied the golden ratio (1, 2, 3, 5, 8) on sizes and spaces of the logo to bring to the viewers the most comfort. We chose sans serif typeface: Lemon / Milk as it represents for the simplicity, youth and modernity of the logo. 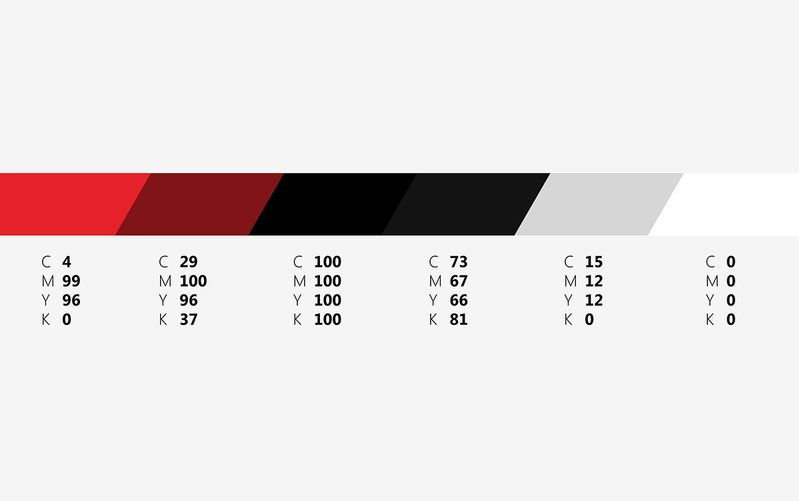 Font weight is selected as bold, which shows the stability and the steadiness. And the other typeface we used is Segoe UI Light to promote for the simple, friendliness and to highlight the contrast of it with the Lemon / Milk typeface. 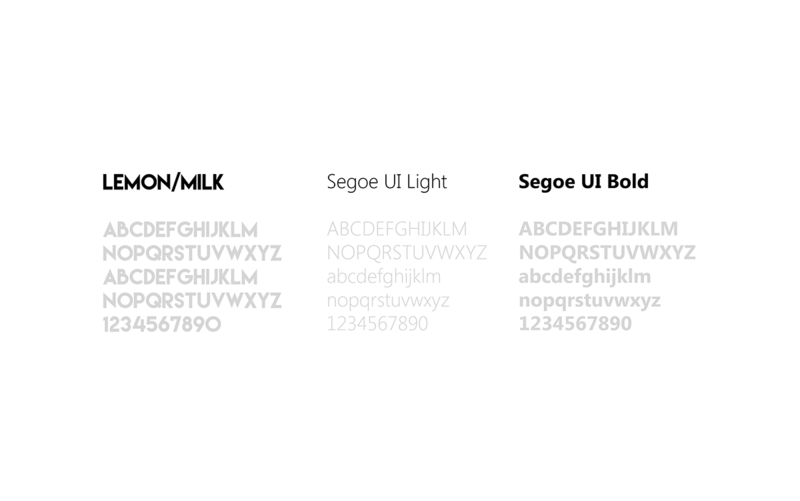 And Segoe UI Bold typeface is added in the case of contrast needed in regular writing. The main color is red, the color of good luck in Asia. Red also performs the passion for work, promoting sales in marketing and the power of the pioneer. 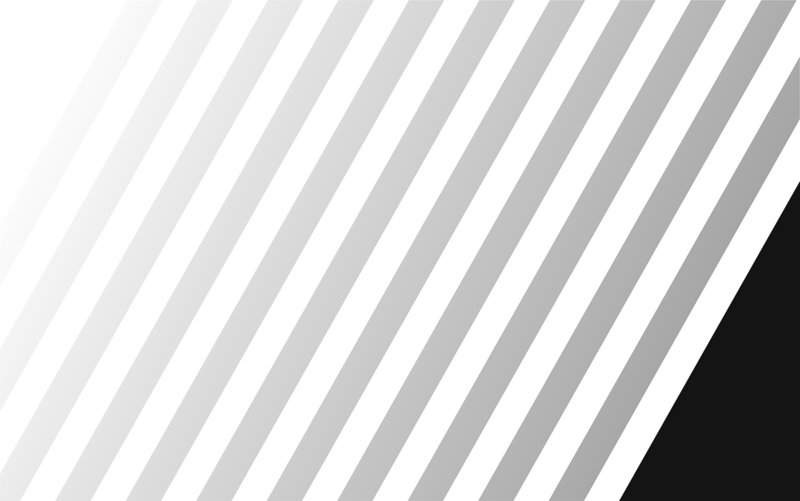 Pattern used a part of the logo – the diagonal to maintain logo identity and to highlight its meaning, combining with a triangle at the right bottom in the same declination used as a sight-attracting mark. The pattern structure may be flexibly applied in different angles. In the application system, we keep the logo displayed simply with positive space without conflict with the pattern system, the information part and margin is displayed basically and simply. In some cases, the triangle of the pattern in stationary is balanced by the information part of the company in the opposite side. 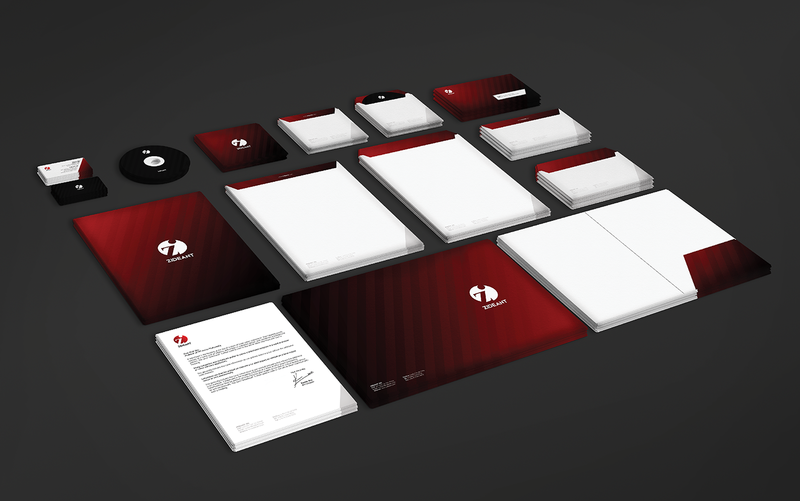 Beside basic things that are necessary for developing a brand, we designed some gifts that remain Zideant’s visual identity systems. 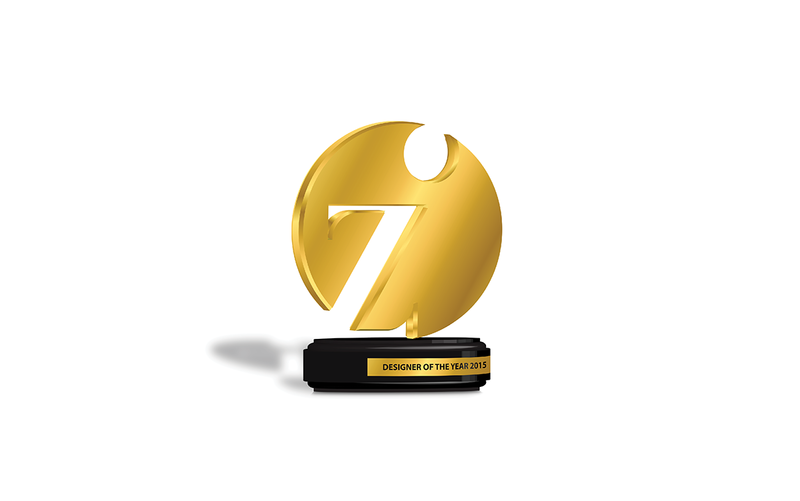 First, Zideant’s Trophy Gold awarded to designers have high ranking on Zideant Ranking on events that are hosted by Zideant. Second, Zideant’s Hologram is designed as a gift on Zideant’s first promotion campaign. It is given to the first 100 people registered on Zideant. 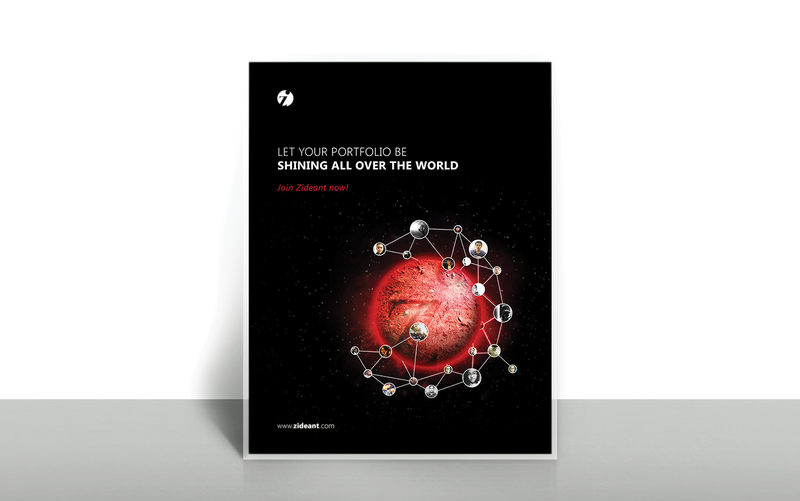 Billboard, poster are designed with the only appeal to designers worldwide to join in Zideant community – “Let your portfolio be shining all over the world!”. The main image of the design is the brilliant Zideant plane. It is surrounded by associations of designers, these unshakeable associations will make your talent stand out. 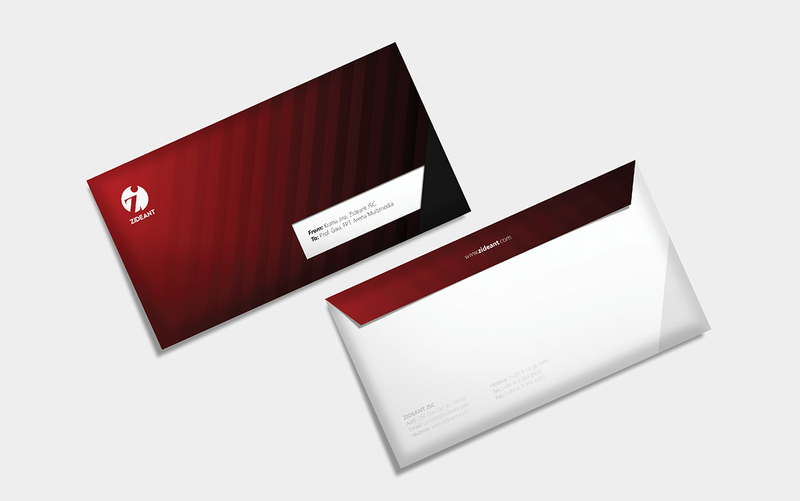 Additionally, this design is applied design principles to bring viewers comfortable and balance feelings. Due to the first appearance of this new brand, logo and website address are placed on the two most important places, these places attract visual perception first, and the slogan is aligned center on the left side to direct viewers’s sight toward the main image – Zideant planet. 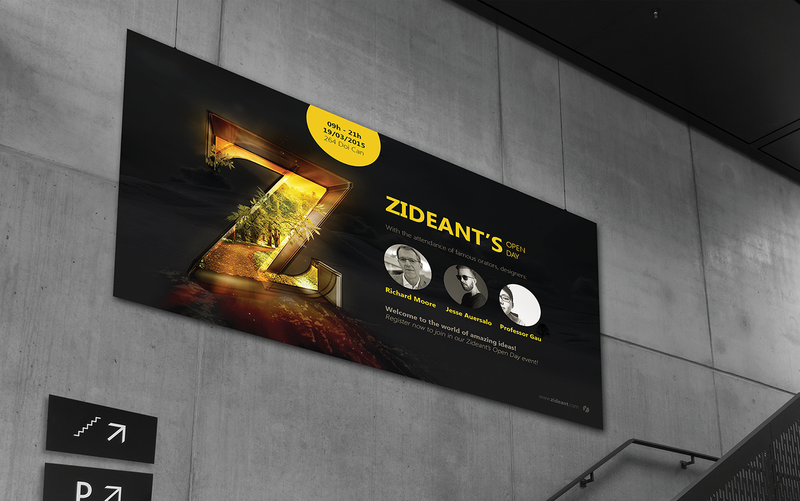 Beside designing advertising printed matters for the first lauching event, we also made a back up design for the next events – Zideant’s Open Day – festive day of designers that have been or will be members of Zideant society with the attendance of famous designers and orators. Website is designed with full of neccessary sites and still remain Zideant’s visual identity systems (Typeface concept, Color concept, Visual identity system). Each module, each module’s place, space, size, color, shades… are designed by me in such a close and clear way. Modern features are designed optimal and easy to use (even small details such as the direction of the look of the character is carried by me to bring you the most comfortable feeling at the first sight). App UI is designed to bring to Zideant’s users the most optimality. 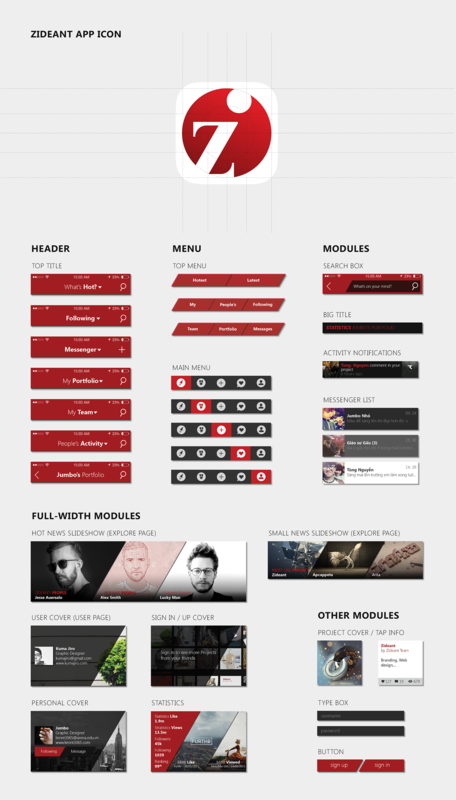 App UI is desgined with full of sites, neccessary features, some website structures were fixed. 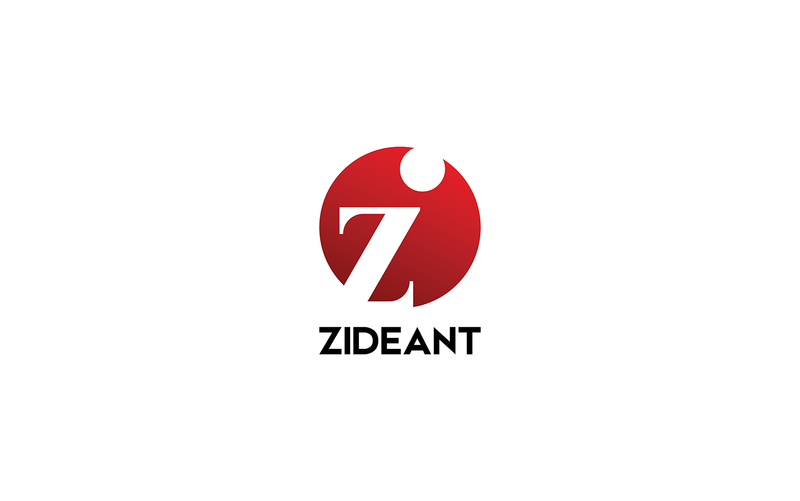 Simultaneously, Zideant visual identity systems are still remaining (Typeface concept, Color concept, Visual identity system) and specially, Website UI visual idenity to bring out the identic and resemblance. 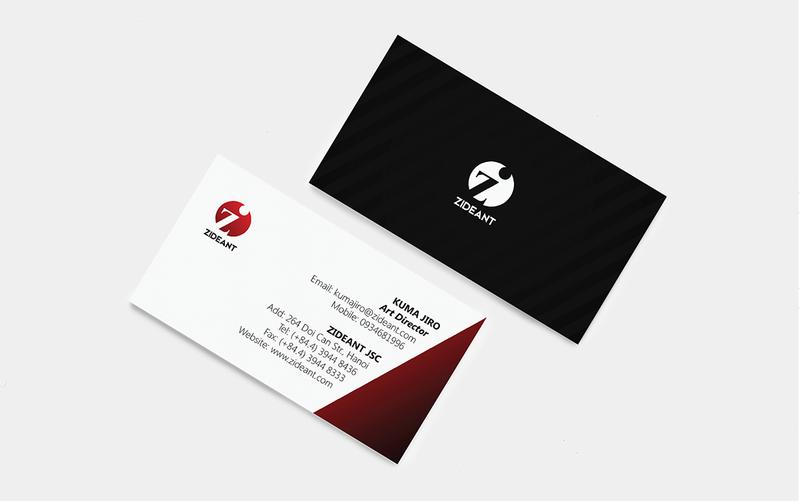 tags: Design Studi- Online, Design Studio Online, DS-O, DSO, dsovn, design studio, studio online, design, studio, dịch vụ thiết kế đồ họa chuyên nghiệp, dịch vụ graphic design, dịch vụ design, dịch vụ tư vấn định hướng hình ảnh chuyên nghiệp, dịch vụ thiết kế nhận diện thương hiệu, dịch vụ thiết kế hệ thống nhận diện thương hiệu, dịch vụ thiết kế visual identity, dịch vụ thiết kế logo, dịch vụ thiết kế biểu tượng thương hiệu, dịch vụ thiết kế logosymbol, dịch vụ thiết kế logotype, dịch vụ thiết kế bản sắc thương hiệu, dịch vụ thiết kế pattern, dịch vụ thiết kế hoạ tiết, dịch vụ thiết kế ứng dụng thương hiệu, dịch vụ thiết kế guidelines thương hiệu, dịch vụ thiết kế ấn phẩm văn phòng, dịch vụ thiết kế danh thiếp, dịch vụ thiết kế tiêu đề thư, dịch vụ thiết kế phong bì, dịch vụ thiết kế kẹp file, dịch vụ thiết kế bìa đĩa cd, dịch vụ thiết kế biển hiệu, dịch vụ thiết kế packaging, dịch vụ thiết kế bao bì, dịch vụ thiết kế bao bì ứng dụng nhận diện, dịch vụ thiết kế bao bì sáng tạo, dịch vụ thiết kế label, dịch vụ thiết kế mác quần áo, dịch vụ thiết kế tag quần áo, dịch vụ thiết kế sticker, dịch vụ thiết kế tem nhãn, dịch vụ thiết kế trang trí văn phòng, dịch vụ thiết kế trang trí cửa hàng, dịch vụ thiết kế web, dịch vụ thiết kế website, dịch vụ thiết kế website công ty, dịch vụ thiết kế website bán hàng, dịch vụ thiết kế website chuẩn responsive, dịch vụ thiết kế landing page, dịch vụ thiết kế microsite, dịch vụ code web, dịch vụ code website, dịch vụ cắt web, dịch vụ web development.